Amazing books don’t necessarily translate to amazing movies, and the merits of a ‘good’ book adaptation doesn’t have a universal consensus. 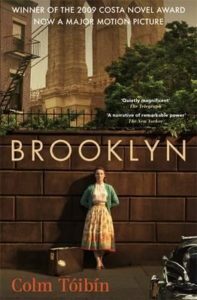 In order to narrow down the search for movies to accompany your Book Group discussions, the CAE Book Groups team share their favourite book to screen adaptations, and some upcoming adaptions to get excited about. 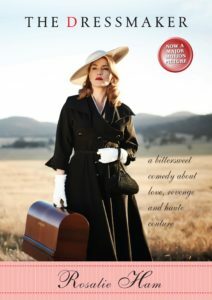 Rosalie Ham’s adored novel The Dressmaker retains a lot of dialogue and scenes straight from the novel and for the most part, the movie does a great job in keeping faith with the depiction of small-town Dungatar and couture fashion. However, the movie deviates from the source text to adapt it for the big screen. The major changes are the removal of some supporting characters and the shift away from cold revenge, instead delivering a sarcastic and slightly absurdist comedy that is supported by brilliant actors who made the movie such a resounding success. The recent translation of Margaret Atwood’s The Handmaid’s Tale into a TV series is worthy of the acclaim and accolades the show has garnered since its launch in 2017. The horrifying autocratic world of Gilead is depicted in stunning and unsettling detail, and the stellar cinematography adds new layers of emotional depth to deliver one of the best adaptations to grace the small screen. 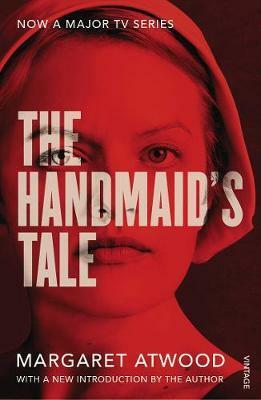 The TV series also takes the opportunity to explore the backstory of its diverse cast of characters, and to continue the series past the novel’s conclusion with Atwood herself signed on as a consulting producer. The novel Brooklyn is a slow burn with an impressive depiction of a protagonist’s shift from rural Ireland to the Big Apple. Throughout the novel, we get a sense of Eilis’ naivety and the emotional landscape of an Irish small town. To translate the emotional breadth to the screen, actor Saoirse Ronan inhabits a character that is allowed more agency than the novel depicts and as a viewer, we witness this blossoming through her choice of outfits and her physical poise. The greatest and most controversial deviation from the novel is perhaps the ‘Hollywood’ ending. And while Toibin himself applauds the movie’s conclusion, loyal fans of the novel may not agree. The novel Never Let Me Go is an emotional literary dystopia, and the movie carries the weight of oppression and the unsettling mood of the novel. As to be expected, there are some scenes cut in order for the novel to translate into a 1hr 43min screen time. As an example, the movie doesn’t explore Ruth and Kathy’s childhood friendship with the same depth as the novel but it certainly delivers on the emotional front, confronting the viewer with a chilling and heartbreaking depiction of a world built on the suffering and dehumanisation of characters such as Kathy, Ruth and Tommy. It’s no surprise that Sarah Water’s astounding historical novels are popular BBC adaptations. Four of Waters’ novels have become TV movies or mini-series, but the standout for us is the adaptation of the Man Booker Prize nominee Fingersmith. 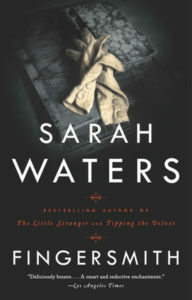 Sarah Water’s cast of complex and devious protagonists, surprising plot twists and lush historical detail translates into thrilling mini-series that keeps very close to its source material. And if you pay close attention, Sarah Waters herself makes a cameo appearance. 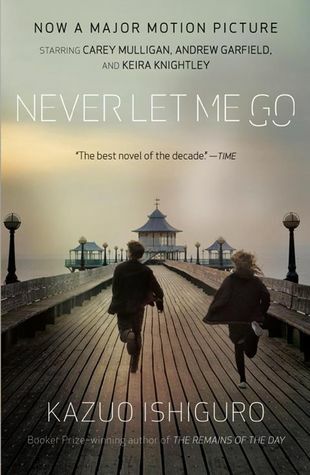 It’s a special kind of anticipation when a beloved novel is signed on for a movie adaptation. Here is our list of upcoming CAE Book Group titles being adapted for the screen that we hope will live up to its novel counterpart. Looking for more adaptations? Keep an eye out for the camera symbol in the latest CAE Book Groups Dialogue for a full listing of all CAE Book Group titles with a TV or Film adaptation.